District Event: The RIBI business meeting is taking place on Sunday 5th May 2019 14:00 – 16:30 online using the GoToWebinar system. A live stream will be broadcast via the RIBI website alongside the Webinar where all Rotary Members can view proceedings in real time. Welcome to the website of Rotary International District 1285 which comprises over 1700 men and women in 70 Rotary Clubs in North West England and the Isle of Man. Rotary International worldwide comprises more than 1.2 million women and men who take action together to change their communities and the world. Through Rotary, our members exchange ideas, forge lifelong relationships, and invest in service projects that make a lasting impact. From club activities and social events to volunteer projects and networking opportunities, Rotary members strengthen communities through their professions and service. And together, we are changing the world. The mission of The Rotary Foundation [Rotary's Charity] is to enable Rotarians to advance world understanding, goodwill, and peace through the improvement of health, the support of education, and the alleviation of poverty. If you are a Rotarian we hope that you will find this site useful; it aims to provide useful information for club officers and members and a convenient method of disseminating information from District Officers and District committees. If you are not a Rotarian we invite you to explore our pages. 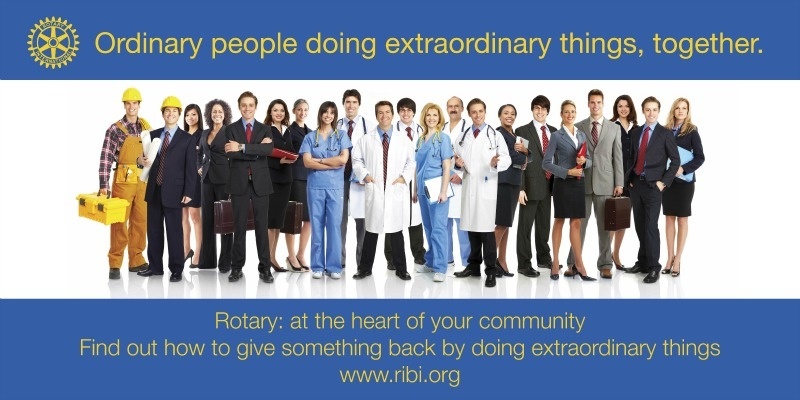 You will also find lots of information about Rotary on the national website. If Rotary appeals to you then please feel free to contact any of our clubs in your area; they will be pleased to hear from you. Below you'll see a rolling feed showing some of the things that Rotary is doing around the North West and Isle of Man.